Regardless, you should at the very least know where things stand in the series and be able to make an educated comment or two about how we got there. 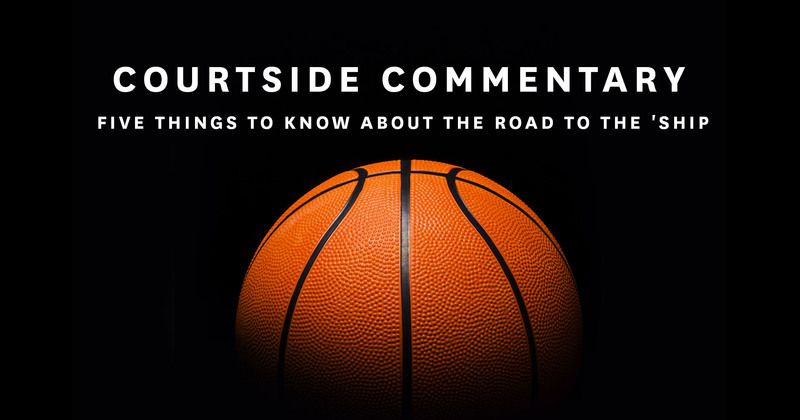 Thusly, we’re teaming up with Samsung 837 on Courtside Commentary, a quick-and-dirty Finals primer delivering you six nuggets of Naismith-ian knowledge throughout the series. Has Golden State “figured out” LeBron James? The Warriors have now beaten the Cavaliers in seven straight games, including Sunday’s 110-77 win. Give credit this time to Draymond Green: hard to believe, but a Splash Bro has yet to net 20 points in a game in the series. And it doesn’t seem to matter. The key to a Cavs comeback? Figuring out Golden State’s “death” lineup. Playing pro ball is a dream come true. I never thought it would be this much fun actually participating in my own dream. Sometimes when I play in New York I like to visit Philippe’s because their sautéed chicken is my favorite. When I’m on the road, the show I most like to binge watch is Martin. My favorite character is Cole because of his humor. If there’s one thing I can’t live without during the season, it is my phone. Without it, I wouldn’t be able to keep up with the world. Player nutrition has come a long way since the days of Jordan and Bird playing H-O-R-S-E for Big Macs. Players these days know that in order to get the most out of their bodies, they have to monitor what they put into them. In order to make that happen, they often seek help from experts. Here are some dietary and nutritional tips from three of the best in the biz. The plastic-and-mesh setup of your bedroom-breaking youth this is not. In its palce: a black maple backboard with 24k gold rim. Because growing up doesn’t have to mean an end to dunking on unsuspecting children.